I always buy KMC chains, I find they last the longest. Compared to the X11EL I usually buy for my mtb or road bike this ebike chain is noticeably tougher, just what I need for an ebike. It shifts very well . I guess the only downside is a few grams more weight but not an issue for an ebike where stronger is more important. These chains have been great in the past and Merlins prices and prompt service are great.. 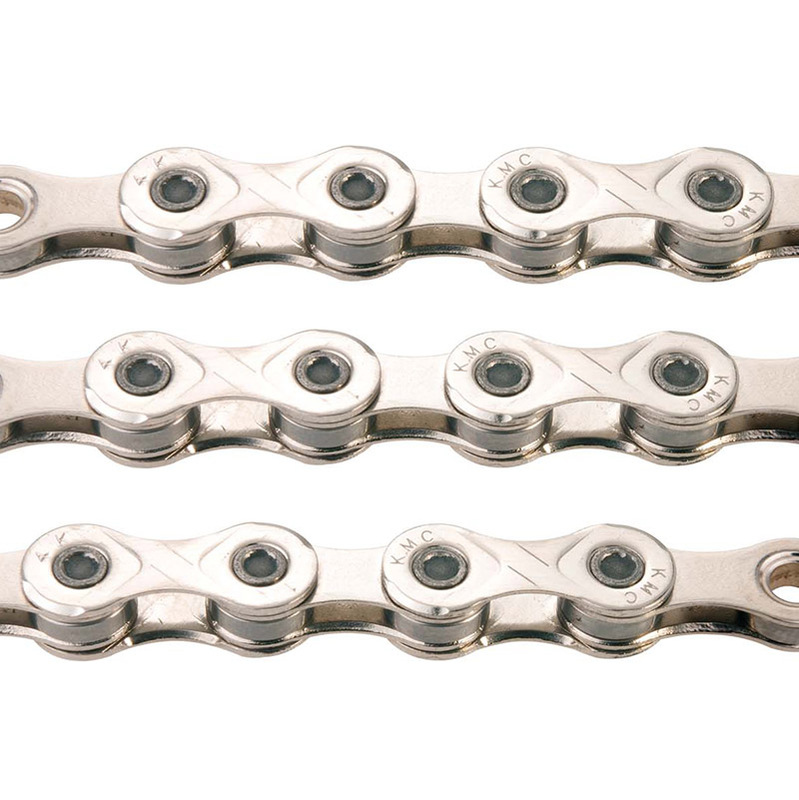 Longest lasting e-bike chain available and great service from Merlin. ebike specific - and my previous experience of KMC chains has always been positive. Have used these chains before,. Find them hard wearing and give smooth gear changes.